If you are tired of overpaying taxes, simply call 510-222-5800 and ask for Navjeet. Our initial consultation is free. Lowering your taxes legally is our expertise. Chahal & Associates services small business owners throughout the Bay area. We have convenient offices in Emeryville, San Rafael and Pinole. Chahal & Associates provides additional expertise in QuickBooks Accounting, International Taxation, Restaurant Accounting and Retail Accounting. International businesses that want to do business in Northern California face a mountain of issues. To make this process simpler, Chahal & Associates is doing something about this. Chahal & Associates has created a unique concept designed around making the process for helping international companies to smoothly and quickly establish a United States entity for doing business in California. Our team is fluent in six different languages ranging from English to Hindu to Punjabi and many more. 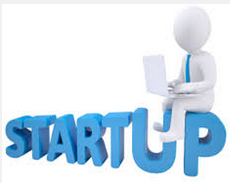 If you are seeking assistance for establishing a business in California, then our unique concept is ideal for you. Call 510-222-5800 and ask for speak with Navjeet Chahal regarding your business. When you are self-employed, your business profits are taxed to you at federal rates as high as 39.6%. Add self-employment taxes, which in 2016 will amount to 15.3% of the first $118,500 of your net self-employment earnings plus 2.9% of any earnings over that amount. Then there’s an additional 0.9% Medicare surtax on earnings in excess of $200,000 ($250,000 if married filing jointly). At tax rates like these, it pays to take steps to reduce your tax burden. Be sure you have an organized system for recording your expenses. To be deductible, a business expense must be “ordinary” (common and accepted in your trade or business) and “necessary” (helpful and appropriate for your trade or business). Since personal expenses are generally not deductible, it’s smart to have a separate business bank account and use a separate credit card for business purchases. You may qualify to deduct premiums paid for medical, dental, and qualified long-term care insurance coverage for you, your spouse, and your dependents. * The coverage may include children who haven’t reached age 27 by the end of the year, even if you don’t claim them as dependents on your tax return. Unlike health insurance premiums paid for employees, the self-employed health insurance deduction won’t save you self-employment taxes. However, it will lower your taxable income. You must meet certain requirements to qualify for the deduction. Funding a retirement plan can also save you significant tax dollars. Within limits, plan contributions will be tax deductible. ** Several types of plans may be suitable for you as a self-employed taxpayer, including a simplified employee pension (SEP) plan, a savings incentive match plan (SIMPLE), or a solo (individual) 401(k) plan. Each plan has specific features and requirements that you will want to weigh carefully before making a choice. * Dollar limits apply to the deduction for long-term care insurance premiums. ** Although deductible for income-tax purposes, contributions to your own retirement plan account do not reduce earnings subject to self-employment taxes. 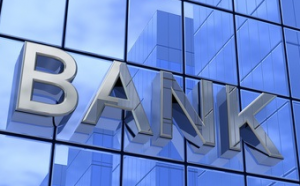 If you have a foreign bank account that has not been reported to the IRS, then you could be facing serious civil penalties and even criminal penalties. These penalties fall under the Foreign Bank Account Report, (FBAR) violations. If you would like assistance in this area, call 510-222-5800 and ask for Navjeet Chahal. 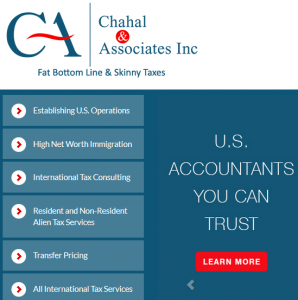 Chahal & Associates is a tax accounting firm in Northern California with offices in Emeryville, San Rafael and Pinole. We are multilingual and help many foreign business owners establish a business within the United States and comply with the tax rules and avoid foreign bank account penalties. As part of our International Tax Consulting, we also provide High Net Worth Immigration Assistance and Tax Services for Foreign Nationals and Non-Resident Aliens. For many that are native to Puerto Rico, the island’s economy is forcing them off the island and onto the main land of the United States. Puerto Rico’s economy is in a death spiral and families are losing their homes and businesses, so why do the rich continue to flock there? The answer can be summed up in two words: tax exemptions. 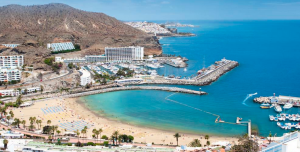 While the middle and lower economic classes are streaming off the island, the super rich are taking advantage of tax exemptions enacted in 2012 to help the economy. Simply put, Puerto Rico are offering tax exemptions to rich Americans, so they will buy existing businesses and open new ones. These tax exemptions, which fall under the 2012 Export Services Act and the Individual Investors Act, provide non-residence investors a 3 to 4% flat income tax, zero property tax, as well as 0% tax on earnings and profits. In addition, investors can enjoy a 0% tax on dividends and interest as well as a 0 to 10% tax on long-term capital gains. When compared to tax rates of up to 20% in the United States, it can be quite the incentive for rich investors. For example, hedge fund owner John Paulson is currently investing $1.5 billion dollars in real estate on the island in the form of luxury resorts and hotels such as the Condado Vanderbilt Hotel and the St Regis Bahia Beach Resort. 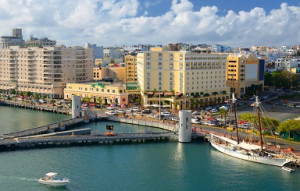 While Puerto Rico’s debt crisis continues to worsen, and about 200,000 residents are leaving each year, you can expect the influx of American investment money to continue for the foreseeable future. If you are looking for ways to lower your tax liability, call 510-222-5800 and ask for Navjeet. We help small business owners and high net worth individuals lower their taxes legally. Chahal & Associates is a California accounting firm with three offices in the Bay area of Northern California, Emeryville, San Rafael and Pinole. Our firm provides small business accounting services, payroll and a variety of tax services ranging from international tax to IRS Problem Resolution to simple tax preparation. For business owners seeking to establish a business within the United States, we also provide establishing United States Operations, High Net Worth Immigration Planning, Expatriate Taxes, and Resident and Non-Resident Alien Tax Services.